Feldman's Aquarium Maintenance Installs and Maintains Fresh & Salt Water Aquariums and Outdoor Ponds in the Tampa Florida Vicinity. Contact Owner Jeff Feldman at 813•685•0394 for an appointment to discuss your fish tank needs. What is the ideal location for an aquarium? How often should my aquarium be cleaned? Why do you recommend acrylic aquariums? What are the three basic types of aquarium? How many fish can I keep in an aquarium? What shape of aquarium do you recommend? What is a "turnkey" aquarium installation? Will you install my aquarium if I want to maintain it myself? What are my responsibilities if your company manages my aquarium? Do I have to be home when you service my aquarium? 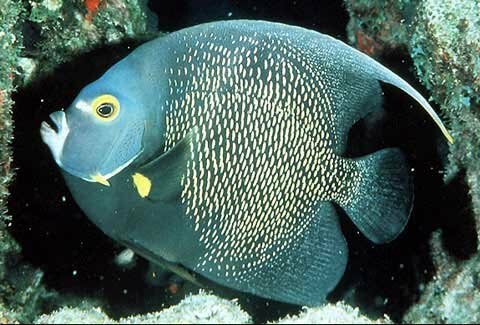 What type of fish ailments do you treat? How long do you guarantee fish you sell? Are there health benefits to owning an aquarium? How can I compute my tank water volume?